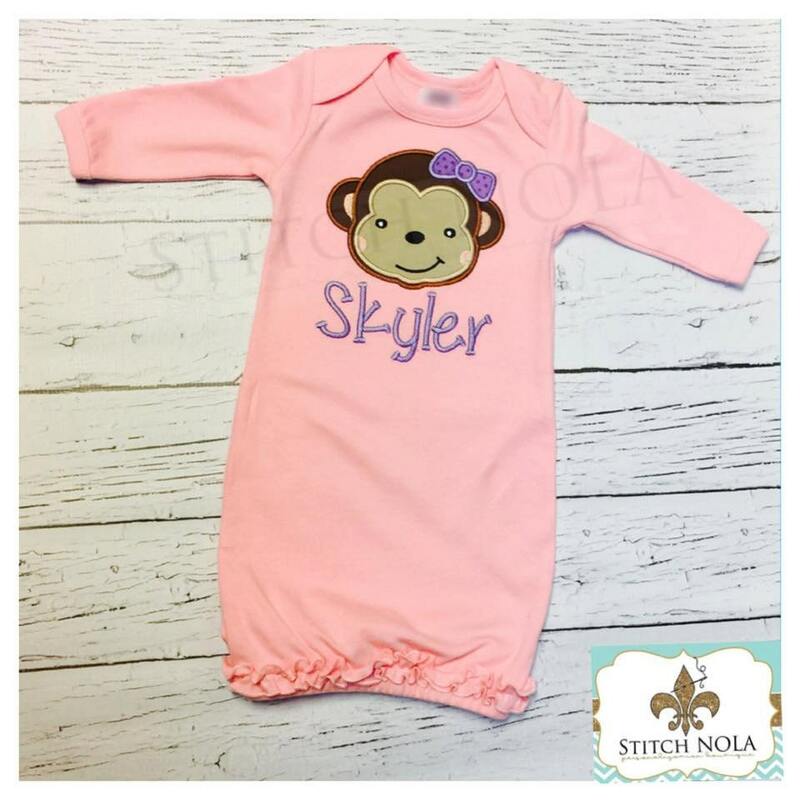 This super sweet ruffle infant gown comes in one size 0-3M. It can be purchased as is or you can choose any of my appliques. If you would like something different than shown, please describe in the comments at checkout!